Many of us are accustomed to mobile banking using smartphones. According to one survey, 84 percent of Americans feel more in control of their financial lives when using mobile technology for personal finance. 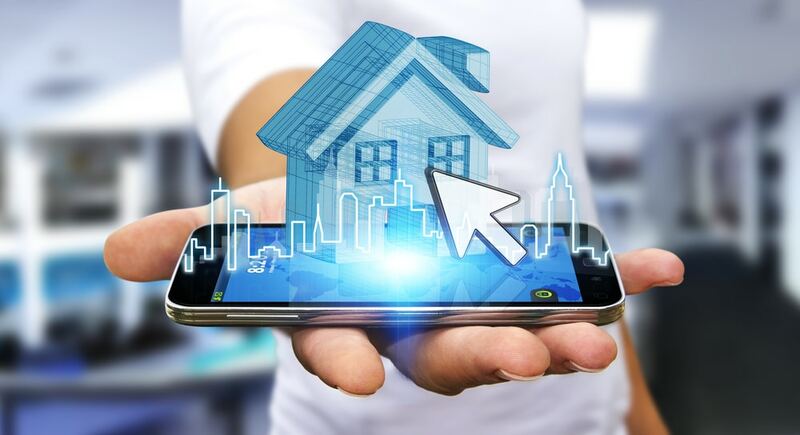 The next logical step in the evolution of mobile technology is mobile home mortgage apps, which has the potential to revolutionize the mortgage industry and attract more would-be homebuyers. Mortgage apps add simplicity to the loan application process and are revolutionizing the mortgage lending business. Historically, applying for a mortgage was an arduous and stressful process for homebuyers. It required pages of paperwork and waiting for days, if not weeks, for loan approval. Today’s consumers have access to more online solutions than ever before, and now this mobile technology is being used by mortgage companies and banks. Mobile home mortgages offer homebuyers a streamlined, accessible tool to manage the mortgage application process. Through mobile mortgages, the process is entirely online and can be done using a smartphone or tablet. With a lending edge mortgage, customers no longer need to complete a pen-and-paper application or wait for days to receive loan approval and go through the closing process. All the steps can be done using the mobile app. In many cases, a borrower will receive an approval decision within a few minutes. This new mobile home mortgage technology is transforming the mortgage lending business and attracting tech-savvy customers. As an integrated solution, mortgage apps offer automated reminders, seamless tracking and continuous, real-time communication from start to finish. Using the mortgage app, a homebuyer can view their credit score, import their financial information into a loan application, and even compare different mortgage products and loan offers. Homebuyers face a daunting array of choices when it comes to selecting a mortgage product. Different factors can influence the loan payment amount, the amount of the down payment, interest rate, closing costs, and fees. For added clarity in the process, some apps include a built-in mortgage calculator to help a buyer determine the amount of their monthly payment based upon variable or fixed interest rates or different fee structures. Homebuyers can easily view a side-by-side comparison of mortgage products. The homebuyer can complete their loan application in minutes by importing their personal data. Paystubs, IDs and tax forms can be photographed and automatically saved as a PDF in the app. The homebuyer and realtor can clearly view and send documents to the loan officer for a seamless process. After choosing a mortgage product, the user will receive text notifications keeping them informed throughout the process. By using push notifications, mortgage lenders can provide homebuyers 24/7 access and complete clarity and transparency. The homebuyer can send and receive messages through a secure messaging portal. The realtor, loan officer, and title agent are provided communication and transaction access through the app. These innovative features have the potential to drastically reduce the length of time from start to finish. Web-based, mobile apps are increasing in popularity. A 2016 study found that 18 percent of people who do not use mobile apps for their finances agree that it’s something they should do in the future. Mobile mortgages are especially popular among Millennials, the fastest growing demographic of homebuyers. Millennials are a primary market for mobile mortgages and have fully embraced online banking. They want to manage their finances as they like, when they like and where they like. Mobile technology makes the home buying process far more efficient, effective and transparent for tech-savvy customers. Data security remains a top concern for customers in the wake of data breaches at several big-name companies like Wells Fargo, Target, and Home Depot. It is essential for mortgage lenders to provide their data privacy and protection policies to would-be customers, including those using a mobile app. In data privacy and protection policies, companies provide details about how they protect sensitive customer data from the ever-present threat of hacking. Companies must protect not only data in their internal network but also the data retrieved from third-party vendors that connect to their systems. Data should be encrypted, and companies should subject their systems to penetration tests to check for vulnerabilities. Any data breach, no matter how small, can be detrimental to a company’s reputation. Before installing an app, customers can educate themselves by doing research on the company. Traditional brick-and-mortar mortgage companies are taking their business online to offer simplicity and convenience in the lending process. The most recent advance in the mortgage lending industry is the mobile home mortgage app. Through using mobile apps, mortgage customers will benefit from greater simplicity and clarity in the homebuying process.